Hegg’s Gallery of Fine Furniture has been family owned and operated for three generations since 1946. We are committed to bringing customers quality pieces for their home. Our fourth generation has joined the business and we look forward to many happy years to come. WHAT INSPIRES YOU: For the past twenty two years I have attended High Point Furniture market every spring and fall. The showrooms are fabulous and I get so many ideas, both for our showroom and for my client’s homes. It is very inspiring see all of the newest trends in furniture and accessories--I usually go down with a list of client’s needs and see if I can find them at market. WHAT IS YOUR FAVORITE PLACE TO VISIT IN MICHIGAN: Of course I love where I live—from Ludington to Holland is amazing. Coastal Casual is a look we see a lot in our design work so sunny beaches are a favorite of mine for a boost. WHAT IS YOUR DREAM PROJECT: I designed, built and decorated an urban loft above my store where we currently live. Our building is well over a hundred years old and the exposed brick, rustic hardwood floors, industrial lighting and wide-open spaces made this project extremely fun and the reward is I get to go home to it nearly every night! I have eight years of experience in the furniture industry and look forward to helping you have a fun shopping experience. 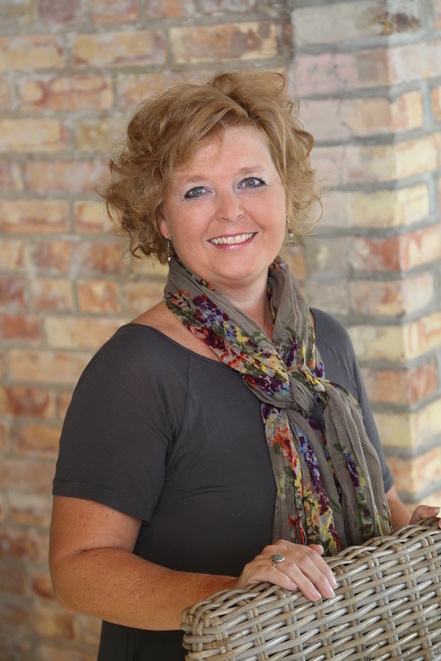 A native to Ludington with 15 years experience in interior design. She believes in the power of beautiful interiors to transform daily life. She is best known for her artistic vintage style and has been featured in Michigan Home and Lifestyle Magazine and Apartment Therapy. Caroline is a wife and mother of three.